I heard obscenities everywhere, as though the world were populated entirely by longshoremen... Had no one told them that coarseness lacks dignity? Kate Philo and her expedition of scientists, technicians, divers, and one reporter are looking for icebergs in the Arctic that could potentially contain frozen small creatures like shrimp, plankton, krill. These scientists work in a private research lab headed by Erastus Carthage, who has managed to successfully bring back to life such frozen creatures, though they managed to live only for a few minutes. During this particular expedition, however, they find a human body in one such berg. Nobody believes they will be able to animate such a large and complicated specimen, but science prevails and our frozen man is alive again, more than a 100 years after he was presumed dead. But Carthage doesn't care much about the social or ethical aspects of bringing such a person back into this world. He wants to see if the man can be made to live longer than the projected time based on past experiments (21 days), and also whether he can use this project to get as much private funding as possible. The reporter, Dixon, is thrilled to be the only media person to have exclusive rights to the project. While these two people remain focused on furthering their career ambitions, Kate and the frozen guy begin to bond. 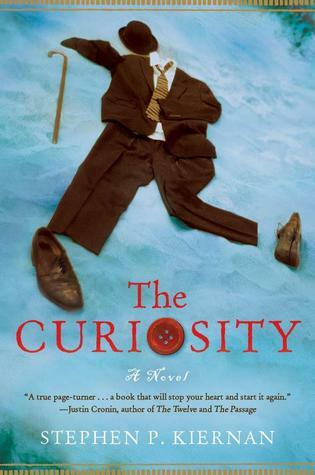 The Curiosity was a very interesting book with a fascinating premise, though not without a fault. It is narrated by four protagonists - Dr. Kate Philo, who is not only scientifically invested in the project but also personally; Dixon, our news reporter who callously basks in his exclusive rights to watch and report on the project; Dr. Erasthus Carthage, the self-absorbed arrogant conceited scientist who focuses only on what can make himself tick; and our frozen man, lost for 100 years at sea, and suddenly awakened in a lab that is futuristic to his time. I've often been fascinated by how much our world has changed in the last decade but I probably did not delve too deep into that because watching the world through our frozen man's eyes was a treat. During his heyday, the idea of landing on the moon was not even an idea much less a laughable one. There hadn't been a world war yet, no computers, no food industry. And when this guy comes along and sees the world, he is overwhelmed by the sheer magnitude by which it has changed. His chapters were, therefore, the most enjoyable ones for me. While this past vs present comparison was very well done by the author, his character developments left much to be desired. All four characters struck me as highly one-dimensional shallow people. Dixon is too whiny and has zero respect for women. Carthage is egocentric and focused only on money and fame. Kate is too considerate and empathetic. Our frozen man is too just and gentlemanly. Nobody seems to have an other characteristic and that made the narrative very predictable and boring. 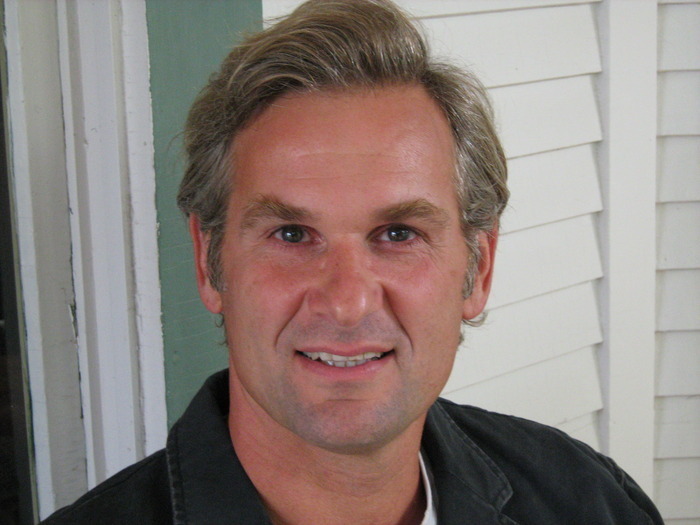 Dixon annoyed me the most, though probably because of how many thoughts of his revolved around women (all sordid). Even Carthage's malevolence was a pleasure to read, in comparison. There were a few things that were very unbelievable to me. For instance, the frozen guy's ancestry is never properly studied. The press of today will go crazy trying to scrounge as much as they can about this man, and there doesn't seem to be any of that in the book. When one reporter belches out that the whole thing is a scam, a lot other news agencies buy the story, when pretty much every evidence pointed the other way. Sure, people like to believe only what sounds reasonable to them. Not the press, though. I also did not enjoy any of the romance between Kate and our frozen guy. I did think that they were very companionable but when it was being taken further, it just left me very annoyed. The Curiosity was also a very long read. I got the impression that the whole story could have been told just as well in half the book size. The book being too long, however, clearly established the amount of the time that passes between the beginning and the end, and also what that time did to the characters within the pages. I do think that if this book had been shorter, some of that sense of time and place would have been lost, but there were a lot of pages we could have done without. Kiernan, however, writes a beautiful hand and for that reason, I would love to read more of his works. I don't know if it was because at the same time, I was myself pondering the idea of writing more, but I enjoyed a lot of his literary devices and language expressions. Poor character portrayals aside, this book is a complicated book, especially since it is a hotbed of ethics, morality, and decency. When Kiernan wrote about reanimation, I almost believed that such a technology existed. I was surprised to learn that it did not. Yet. He also raised several ethical questions - would the man even want to be alive again? How should he be cared for afterwards? The most fascinating question for me was about his freedom. The man was born in a free America and is now brought back alive in a free America. Yet, he has no rights, he is locked in a room in a lab, and he is not free to do or eat as he wishes. These were the intriguing aspects of this book, and which Kiernan investigated well. If only the characters had more depth, and the book a little less words and romance. I've become impatient with books that are too long but I'd still like to give this one a try. I didn't care for this one but I thought the premise and especially the very beginning had a lot of promise. I didn't care for where the story chose to go, but that's me. I am sorry you didn't like this more in the end, Athira. While I think I liked the book a bit more than you did, I do agree with several points you made. I wondered about the history too--and how easily the media shifted in their opinion without much follow-up once Dixon did his "big reveal". The premise of the book sounds super-interesting. Not sure that such a long book with one-dimensional characters will work quite well for me though. Interesting ethical questions. Sounds like the book would be an interesting book club read! This does have a fascinating premise, so it's a bit of a shame the book has some issues. I think the length of the book would be the main stumbling block for me, as it seems like it didn't need to be that long. This is such a perfect book but for the characters. That was disappointing for me too - I couldn't really care for anyone or be vested in anyone. It would be worth it. It's long but it reads pretty fast. The premise had me too. Definitely a great book for book clubs since there are a lot of questions to think about. Those points sort of bugged me and I really struggle with suspending my disbelief. I'm pretty sure the guy's bio will be on every major newspaper within a day of such a news becoming public. The one-dimensional characters bugged me quite a lot but the story and the questions raised made the reading worth it in the end. Yeah, 400+ pages is long! Especially when not a whole lot happens in between. I think the title says it all. It does sound so interesting. Thank you for the review. It is sort of interesting. I hope you enjoy it better than I did! Smack me, I have read this, but other than the cover art, it isn't speaking to me. April wasn't that far back; I must be getting old timers.